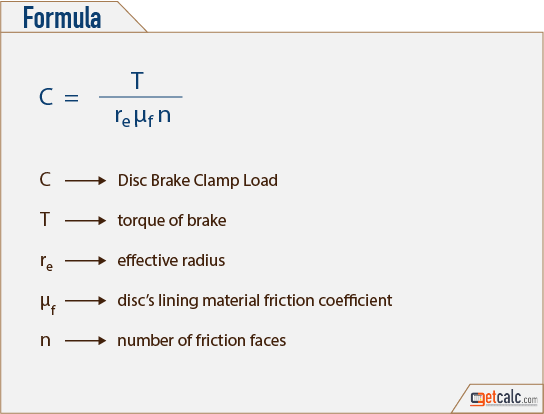 getcalc.com's Disc Brake Clamp Load Calculator is an online mechanical engineering tool to measure the maximum clamping load of braking system, in both US customary & metric (SI) units. Brake Clamp Load is the maximum brake force developed in the braking system to stop the moving object. It's generally a frictional force applied equally on the rotating object.